The 2017-2018 Academic Year is about to start! distribution. Now is the time when the constituencies active in a particular field make a special effort to find projects that demonstrate the positive difference that European funding has made. EUREC members will showcase their top EU-funded projects in our Projects Catalogue 2018, due out at the end of November. Among the ones put forward for inclusion are: Cheetah, which has managed to produce thinner photovoltaic cells. Researchers at CEA-INES have made a solar panel containing individual cells of half the normal thickness. The PV industry has been slow to embrace thinner cells but by showing that industrial equipment can handle them safely, the researchers hope that these, a tenth of a millimetre across, will be adopted widely. R2RCIGS concerns an alternative to silicon, CIGS. This project, funded under Horizon 2020’s predecessor, stands out as a success. High-efficiency CIGS cells on flexible foils were transferred from the lab to the fab – they are now being manufactured commercially at the Swiss firm Flisom. researchers have been looking to the sea as the place to "grow” a source of fuel. 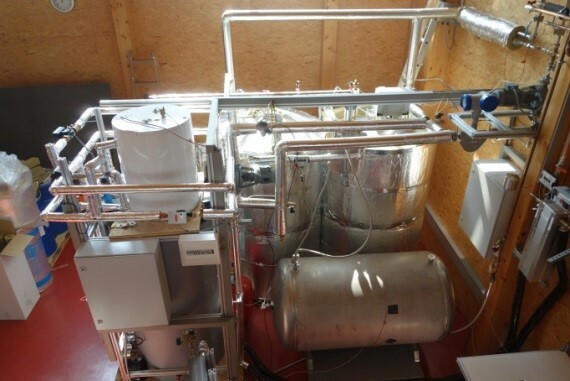 The Macrofuels project has seen 2 big harvests of seaweed in the year-and-a-half that it has run, and a journal article has been published with details of a highest-ever yield of alcohol from seaweed, at good concentration and with few contaminants. Fuels are easy to store – renewable energy in other forms, less so. The COMTES project developed 3 different heat storage technologies suitable for a single family home. Such stores need to be compact – these scaled-down experimental systems took up around 2 cubic metres. A EUREC member designed and built a system that achieved record storage density using water vapour adsorbed to zeolites. included an assessment of the advantages of using electricity for heating, focusing on Skellefteå (Sweden) and two districts in Ulm (Germany). In Skellefteå, researchers found a 35 MW electric boiler powered by electricity from a biomass-fired CHP plant was a cost-optimal alternative to meeting winter heating demand from an oil-fired boiler. It would also save 99% of CO2 emissions. Distribution System Operators in Germany are keen to learn from the Ulm DSO how to use PV electricity to heat water when it would otherwise be wasted. 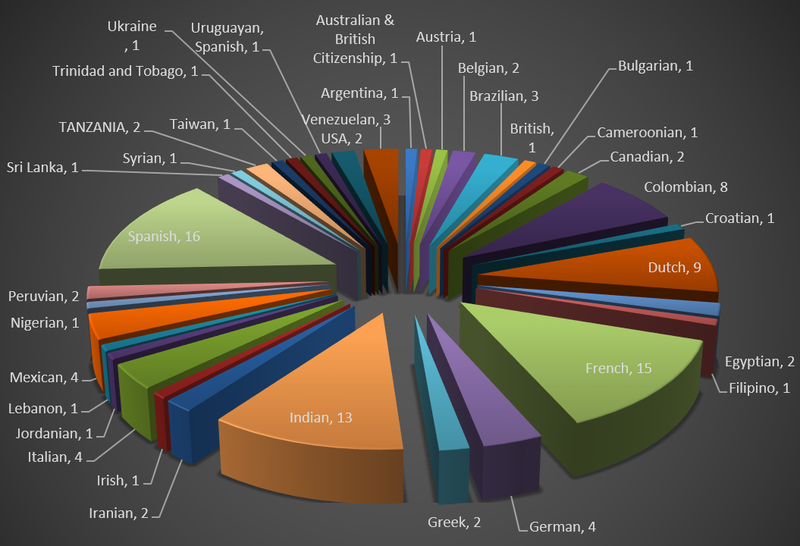 and Moroccan/Egyptian research stakeholders. Staff exchanges were organised and scientists-in-training were given lectures by experts in photovoltaics, concentrating solar power (CSP) and grids. The partners also performed joint research, which saw the first CZTS/Si photovoltaic mini-modules fabricated, then tested in Morocco; protective coatings for heliostats assessed; rock-based thermal storage evaluated; innovative configurations for CSP power plants proposed, and grid codes for renewable energy implementation in Morocco and Egypt analysed. An official progress report is here. On June 6, the European Parliament called for a budget of €120 billion for FP9. A month later, the High Level Group on maximising impact of EU Research and Innovation Programme’s, chaired by Pascal Lamy, released its report calling for a budget of €120-160 billion. It did this at a large conference hosted by the European Commission. At least 2 of Brussels’s 3 main policy-setting institutions seem to be signed-up to giving research a boost in the post-2020 era. For now, sustainable development seems to be as popular a theme for FP9 as it has been in Horizon 2020. The audience at the conference spontaneously reached for the keyword "sustainable” when asked "What should be the future mission of the EU in the R&I field” and Robert-Jan Smits, Director General of DG Research, speaking a few days earlier, said, "It’s only logical that sustainable development will be the leitmotif of FP9’s Societal Challenges”, in part because of the COP21 Paris Agreement on climate change. Clean energy, specifically, is well positioned for the upcoming negotiations. Since early 2017 the EU is proudly at the helm of Mission Innovation, an intergovernmental pledge to double public R&D spending on energy between the years 2015-2020. This creates the expectation that the EU will push the other members towards bold pledges after 2020, using its own research budget to set an example. Solar thermal energy has the potential to cover 100 % of the heat demand of households through completely renewable energy. To achieve this, the surplus of solar heat from summer needs to be stored by a seasonal thermal energy storage to cover the demand in winter. To meet the special requirements for a solar seasonal thermal energy storage used in households, which are mainly a high energy density (low space requirement) and low losses, an adequate technology has to be found. The EU-funded project COMTES, with a research grant of 4.7 Mio €, was divided in three different development lines that all work on a different technology for seasonal thermal energy storage. In development Line A, AEE INTEC, ITW Stuttgart, Vaillant and TH Wildau collaborated on the development of a solid sorption thermal storage based on the working pair zeolite 13XBF and water vapour. The aim of the project was to develop and demonstrate a solar seasonal thermal energy storage system which has a significantly higher energy storage density than sensible water storages. To this end, full scale prototypes were developed, tested and improved and integrated in a complete storage system. 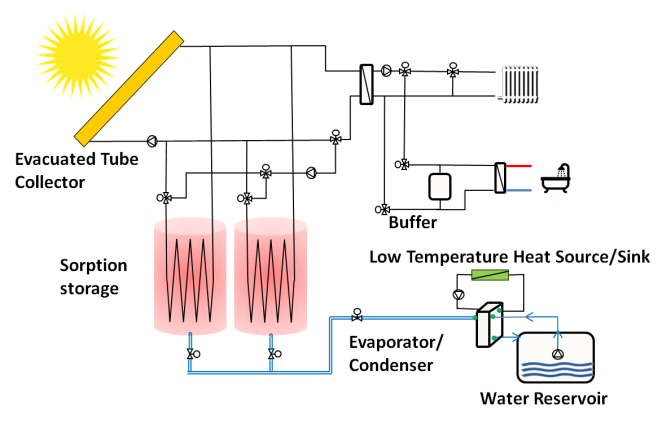 The sorption storage stores the heat gained by the evacuated tube collectors and release the heat in case of heat demand (domestic hot water or space heating), see the system diagram below. The low temperature heat source supplies the necessary heat to evaporate the water coming from the water reservoir. The generated vapour flows to the sorption storage and the adsorption (discharging) takes place. Reversely, during desorption (charging) the solar heat is used to drive the water vapour out of the zeolite and the released vapour is condensed at the evaporator/condenser heat exchanger again and the heat of condensation is transferred to the low temperature heat sink in this case. The storage system is under vacuum and therefore a low temperature level is sufficient to evaporate the water. The testing period was separated in two steps. First, explicit system experiments were carried out to test the system under given boundary conditions and to determine the main parameters of the system. 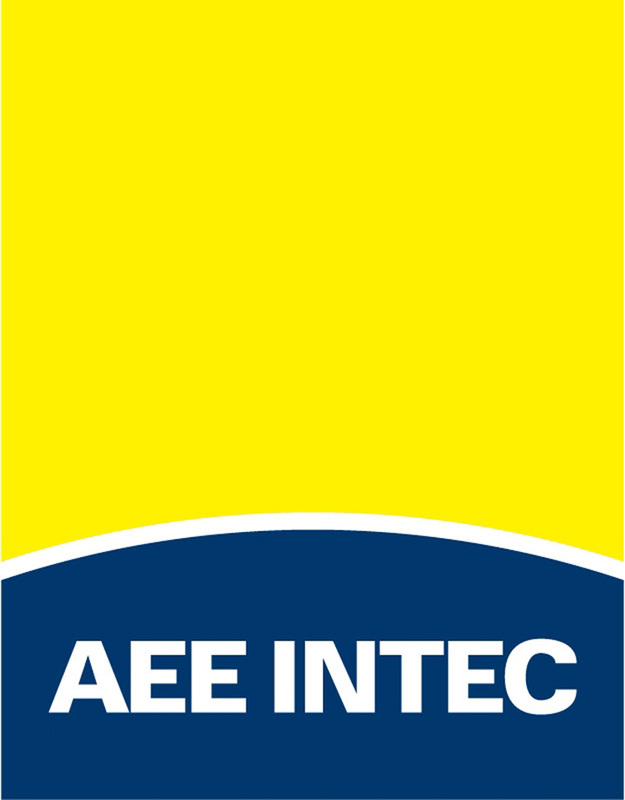 The second part was the completely automated operation of the system over a heating period under realistic conditions at the AEE INTEC laboratory in Gleisdorf, Austria. At first, the system was tested to gain knowledge about the energy density under different boundary conditions. Therefore, the desorption, adsorption, evaporation and condensation temperatures were varied. The results show that under good, but realistic conditions a storage energy density of 178 kWh/m³ is achievable. This is about three times more than sensible water storages can store, with the additional advantage that this amount of energy can be stored over months without losses. This high energy density could be achieved due to the application of the novel charge boost method, which is used to further increase the storage capacity of the material. In the second step the heating capacity of the system was tested in automated operation for a longer period. To this end, the system was integrated in a "hardware-in-the-loop” system, where a building simulation calculated the heat demand of a low-energy single family house according to the actual weather conditions at the test site in real time. This way a heating period could be demonstrated and the feasibility of the technology could be proven. The result was a solar fraction of 83 % which could be achieved with the demonstrated system over the heating period. The results of the experiments and the demonstration period prove that this technology is promising for application as seasonal thermal energy storage, but also other applications are promising e.g. for temperature conditioning of electric batteries of electrical or hybrid cars, for storing waste heat from industrial processes or for using surplus electricity from PV or wind. The 52 College of Members (CoMs 52) took place in Brussels, at the Museum of Natural Sciences, on the 23rd and 24th May 2017. The second day was dedicated to the association’s internal affairs and on the first day, EUREC organised an expert workshop on ‘Digitalisation of the energy system’. It is our great pleasure to announce the Young Energy Researchers Conference and Young Energy Researchers Award! Dedicated to the next generation of professionals and experts, two conference tracks present the work and achievements of young researchers in the fields of biomass and energy efficiency. 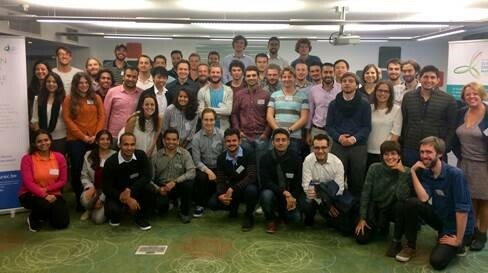 The Young Energy Researchers Conference will be held on 28 February – 1 March 2018 in the context of the World Sustainable Energy Days 2018 in Wels/Austria. With more than 700 participants from over 50 countries in 2017, the World Sustainable Energy Days are one of Europe's largest annual conferences on sustainable energy. Check out the programme & pictures of the 2017 edition to get an impression of the event. The organiser covers the costs of accommodation, meals, participation and local transport for up to 60 selected young researchers. We invite young researchers (born after 1982) to submit contributions by 10 October 2017 at www.wsed.at/call. Submissions are welcome from all scientific fields. A high-level scientific committee selects papers for oral and poster presentation. Visit our website for detailed information. Awards "Best Young Energy Efficiency Researcher " and "Best Young Biomass Researcher"
The best contributions will be honoured with the awards "Best Young Biomass Researcher" and "Best Young Energy Efficiency Researcher". The researchers will each receive 1,000 Euro as prize money. The winners will be selected from the oral presenters. The conference office will gladly answer questions (conference office: T: +43-732-7720-14386, office@esv.or.at). Organized by the European Technology and Innovation Platform for Photovoltaics (ETIP PV), EUREC - The Association of European Renewable Energy Research Centers and Solar United - The Global Solar PV Technology & Industry Association (Solar United) as well as equipment manufacturers, materials providers and PV Manufacturing companies published today an "Open Letter from the European PV Community”. This open letter is targeted and will be distributed to European policymakers in order to focus on the further development of photovoltaics in Europe. Due to recent developments the industry is deeply concerned about losing core parts of the value chain. Losing one part will damage the remaining parts and put the EU's edge in PV technology at risk. Production sites in Europe are vital to keep PV's innovation ecosystem intact. Their future must be safeguarded as a matter of urgency. This can only be achieved with an innovation-driven robust ecosystem of companies and research centers supplying different PV-related products and services. Large-scale manufacturing sites across the whole value chain are needed to ensure a sustainable future of PV in Europe. Cheap finance, accelerated R&D and smart regulation are the main ways to achieve sustainable PV manufacturing in Europe. Solar photovoltaics (PV) is a sector of strategic importance for the EU economy, providing energy independence, industrial jobs and economic growth. Since two decades, Europe is leading in technological development, state-of-the-art manufacturing (industry 4.0), sustainability of production and quality as well as efficiency of solar products. There is hardly any other sector in the EU which received as much public dedication and thrilled more young people, engineers and scientists. Even if the emergence of huge over capacities outside Europe led to a severe damage to the EU industry the EU value chain from raw materials and equipment to complete PV solar systems successfully remained intact until now. Together with the support of a unique R&D ecosystem this is the basis for the EU manufacturing industry to keep its significant technological advantage towards industrial followers outside Europe. To maintain solar R&D and EU manufacturing and to take further opportunities for Europe, researchers and manufacturers call for urgent action in seven requests. The "Open Letter from European PV Community” is enclosed to this press announcement. If you are representing an organisation that would like to publicly endorse the petition, please send an e-mail at sofia.arancon@wip-munich.de containing a brief statement of endorsement, the organisation’s name, logo, and website and the details of a contact person. Please note that only the organisation's logo,name and website will be visible on our list. Further information on the PV ETIP is available here. The An­nual Event "In­no­va­tion in the Re­new­able Heat­ing and Cool­ing sec­tor” of the Eu­ro­pean Tech­nol­ogy and In­no­va­tion Plat­form on Re­new­able Heat­ing and Cool­ing (RHC-ETIP) was suc­cess­fully held on 20 June in Brus­sels. Over 50 ex­perts at­tended the event at CEN­ELEC with the aim to dis­cuss the con­di­tions to in­crease in­no­va­tion in the re­new­able heat­ing and cool­ing (RHC) sec­tor in the Eu­ro­pean Union as well as the role of RHC tech­nolo­gies in the Strate­gic En­ergy Tech­nol­ogy (SET) Plan of the Eu­ro­pean Com­mis­sion (EC). "We are happy that both the EC and na­tional gov­ern­ments have rec­og­nized that Eu­rope won’t achieve its GHG goals with­out a strong con­tri­bu­tion of the RHC sec­tor. Only holis­tic so­lu­tions with a strong con­tri­bu­tion of all en­ergy sec­tors will allow the goals to be achieved”, said Mr Ger­hard Stryi-Hipp, Pres­i­dent of the RHC-ETIP. "How­ever, de­spite the in­creased aware­ness, RHC in­dus­try and mar­kets are still suf­fer­ing from a lack of ded­i­cated pol­icy ini­tia­tives that are able to ac­cel­er­ate in­no­va­tion and mar­ket de­ploy­ment in the RHC sec­tor”, he con­tin­ued. The Di­rec­torate Gen­eral for Re­search and In­no­va­tion of the Eu­ro­pean Com­mis­sion (DG RTD), rep­re­sented in the event by Mr Piotr Tulej and Mr Piero de Bonis, high­lighted the EC’s am­bi­tion for Eu­rope to be­come the world num­ber one in re­new­able en­ergy. Sev­eral ini­tia­tives and strate­gic ac­tions are in line with this am­bi­tion, such as the En­ergy Union and the leg­isla­tive pack­age of No­vem­ber 2016, which in­cludes RHC top­ics. Also, the EC men­tioned that the ac­tiv­i­ties of SET Plan Tem­po­rary Work­ing Group (TWG) on heat­ing and cool­ing will kick-off next week and an­nounced, that RHC has a great chance to ben­e­fit from the 2018-2020 En­ergy work pro­gramme of the Hori­zon 2020 Pro­gramme. "It’s great news that our im­pres­sions on the Hori­zon 2020 Pro­gramme have been heard”, said Ms Paola Maz­zuc­chelli, Co­or­di­na­tor of RHC-ETIP Sec­re­tariat. "In the de­sign of the cur­rent pro­gramme the level play­ing field for the RHC sec­tor is miss­ing. We are look­ing for­ward to see­ing how a fair com­pe­ti­tion be­tween the dif­fer­ent tech­nolo­gies is es­tab­lished”, she con­tin­ued. On the following day, the RHC-ETIP organised the session "Innovation in the Renewable Heating and Cooling sector” as part of the official programme of the European Sustainable Energy Week (EUSEW). Over 50 participants completely filled up the Maelbeek room at the Résidence Palace Building. The programme intended to showcase successful stories of innovation in the renewable heating and cooling (RHC) currently in progress. On 16th November, the RHC-ETIP and the DHC+ Technology Platform will organise a brokerage event focused on the upcoming Horizon 2020 Energy Work programme 2018-2020. The event will take place in Brussels and will foster cross-sectorial cooperation between the different technologies under the scope of the platforms. The collaboration across different sectors has been highlighted several times by the European Commission as one of the main priorities of the next Energy Work Programme. Therefore, meeting partners from other sectors will be a crucial step in order to be successful with the upcoming calls. Further information on the registration process will be available shortly. In the meanwhile, please save the date. The EUROSUNMED project, co-funded by the EU under FP7, and coordinated by EUREC’s member CNRS-ICUBE, held its final project meeting on 28th August 2017 at the premises of DG Research in Brussels. The final meeting took stock of the progresses made by the consortium during the past five years. The consortium has successfully achieved its Milestones, and targets, and has set a cornerstone for future cooperation in this area with the EUROSUNMED Roadmap, by identifying and launching future cooperation activities in the area of renewable energy. 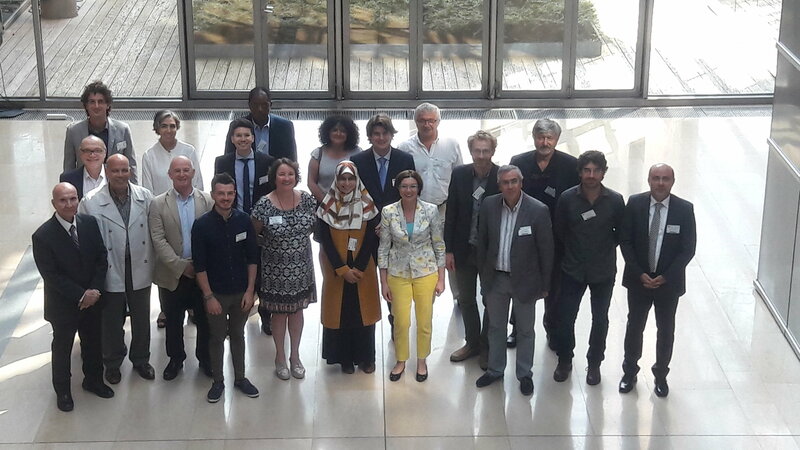 The EUROSUNMED Roadmap has been prepared by EUREC with input from all other project’s partners, and with the additional feedback received by the external stakeholders, who attended the two Roadmap workshops organised by the project in Brussels, and Marrakech. If you are interested in receiving a copy of the EUROSUNMED Roadmap, contact Paola Mazzucchelli. The SolarPACES (Solar Power and Chemical Energy Systems) Conference will be held from September 26-29, 2017 in Santiago, Chile. The Competitive Solar Power Towers project will be presented at event by the partners CENER and EDF. EDF will present the abstract "Optimization of a Decoupled Combined Cycle Gas Turbine Integrated in a Modular Multi-Tower Solar Power Plant”. Furthermore, The first issue of the "H2020 Projects Bulletin on Concentrated Solar Power” was published in May. The joint Newsletter was launched by a joint initiative of the consortia of the EU projects CAPTure, MinWaterCSP, MOSAIC and WASCOP. 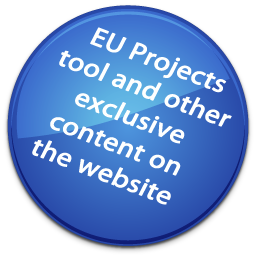 The issue includes updates from the involved European projects in the CSP sector currently. Find out more about the projects, news and events here. The main goal of the Competitive Solar Power Towers (CAPTure) project is to significantly reduce costs of concentrated solar power (CSP), in order to pave the way for its deserved competitiveness on the power market. In order to increase plant efficiencies and reduce levelized cost of electricity (LCOE), the project will develop all relevant components that allow implementing an innovative plant configuration. For further information, please access www.capture-solar-energy.eu. Check the success of MPC countries in EU funds. Do you want to know who are the most powerful institutions? This map provide a well detailed infographic on the success of the MPC institutions to going EU research and innovation funds. Click the link to surf in the map where you can see per country, town and even organization, the capacity the attract funds by the MPC and Turkish institutions. 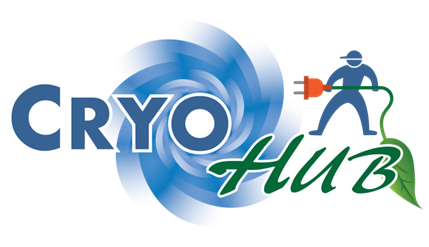 This first CryoHub Workshop will provide information about the European project and to share innovative concepts & developments related to the potential for large scale cryogenic energy storage at refrigerated warehouses and food factories. The workshop is open to anyone with an interest in energy storage, cryogenics and innovation in sustainable refrigerated warehousing and food production. The afternoon event will be hosted by IRSTEA Research Unit in Antony Paris on 27th September 2017. With a record number of students registered in both our programmes, the Academic Year 2017/2018 starts next week in Mines-ParisTech and Hanze UAS, and soon after in Loughborough, Zaragoza and Oldenburg Universities. The European Master in Sustainable Energy System Management, which core semester is delivered by Hanze UAS, opens for its third year with 21 students. The European Master in Renewable Energy also breaks a new record for the number of students registered: 92 students are following the programme this year in our 9 partnering Universities. EUREC wishes a very nice start of the Academic Year to all EUREC students and professors! The EUREC Masters Starting Day will be held in Brussels, in Novotel Ste Catherine on October 6th. EUREC students from the two EUREC Master courses will be able to meet for the first time. They will be welcomed by EUREC and some alumni and will meet professors from the specialisations of both the European Master in Renewable Energy and the European Master in Sustainable Energy System Management who will present their courses and reply to their questions. The day will end up with a cocktail reception. The following day, the Alumni will meet in the centre of Brussels, in MuntPunt for the 9th edition of the EUREC Alumni Forum. The EUREC Alumni Forum is an excellent opportunity to share experiences, to meet colleagues also working on renewables and to start new projects or find support on ongoing ones. 2017 is the 15th anniversary of the EUREC Master in Renewable Energy, so we expect a legendary Starting Day and Alumni Forum! EUREC is offering sponsorship opportunities to companies which would like to get involved in the European Master in Renewable Energy or in the European Master Sustainable Energy System Management. If you are interested or if you want more information, please contact Nathalie Richet or access http://www.master.eurec.be/en/Careers-and-EUREC-Awards/Sponsorship/Sponsorship-opportunities/. Check out our Event Calendar and stay up to date on the most relevant events on renewable energy technologies taking place in the next months! 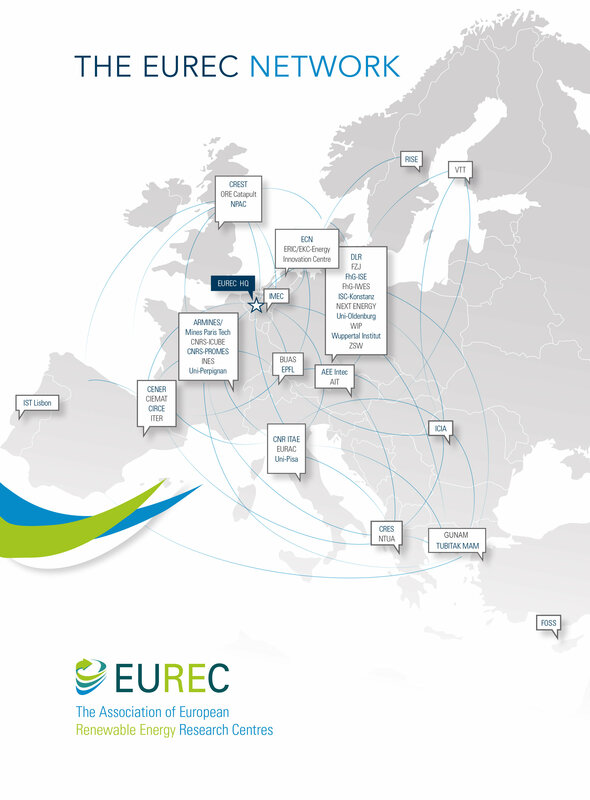 Currently, EUREC brings together 41 research centres, renowned for their expertise in the field of renewable energy, representing the majority of EU Member States. A very large part of ongoing renewable energy research in Europe is taking place at EUREC member organisations. To ensure that EUREC grows in a controlled way towards a representative association of high quality research centres, a series of criteria for new Members has been defined.